Ponytail hairstyles are super easy to do yourself and they work well for summers keeping hair away from face. 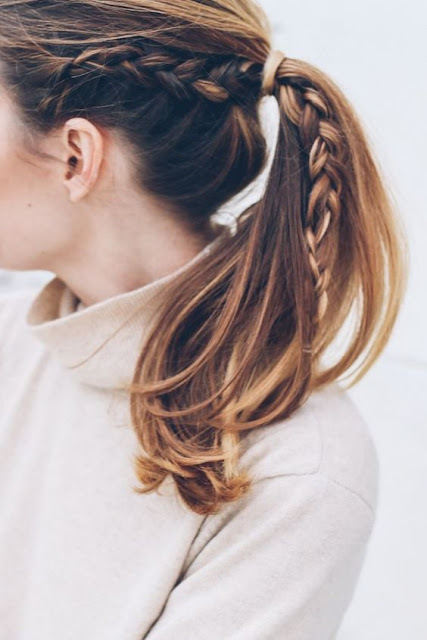 Simple ponytail hairstyles work well for a gym but there are many different ponytail variations which can look very fancy and cute even out of the gym. Here are some ponytail hairstyles which you can try for a stylish summer hair look. Sleek straight pony gives a very polished look. 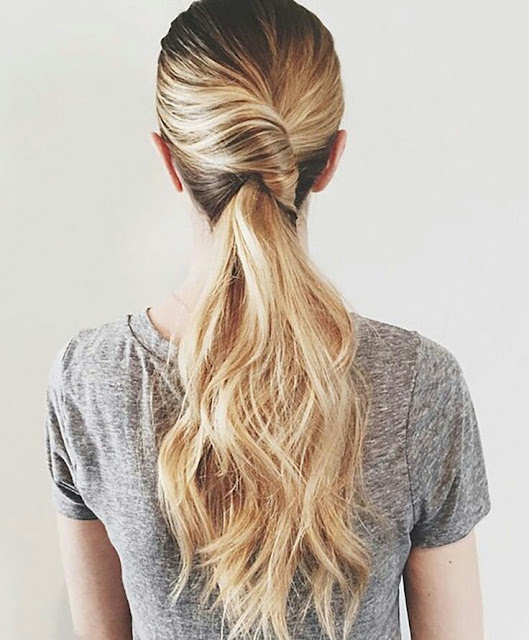 Try this low ponytail if you have straight hair, and use a small section of hair to wrap around the band for a knotted look. You can use a styling gel or wax for some sheen on your sleek hair look. 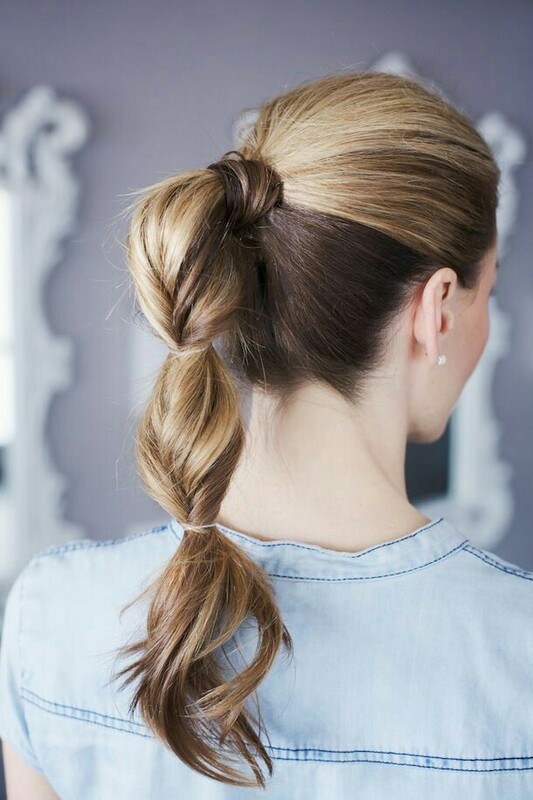 Make your ponytail hairstyles more trendy by adding a braid on one side of your hair. You can try a variation of braids like french braid, fishtail braid or a super tiny braid for a stylish fun look. This hairstyle is best suited for young girls and I have spotted them looking super cute on a lot of little girls too . 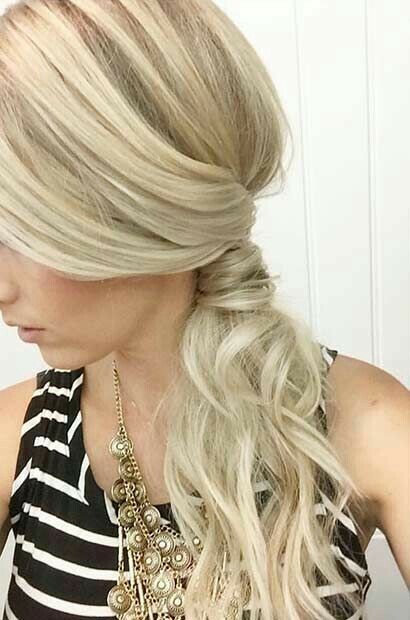 Adding volume to your ponytail crown makes it looks more glam. Create a bump on the top to give an illusion of longer face and secure hair with a band giving a slightly messy vibe which is perfect even for fancy events. You can go for side swept hair for a more chic look. For a sophisticated formal look go low and go sleek with your ponytail hairstyles. Comb back all your hair and tame the fly aways with a serum which will also add some shine to your hair. Tease the hair at top section for a slight volume and then secure your hair little above the nape for a sleek low ponytail. 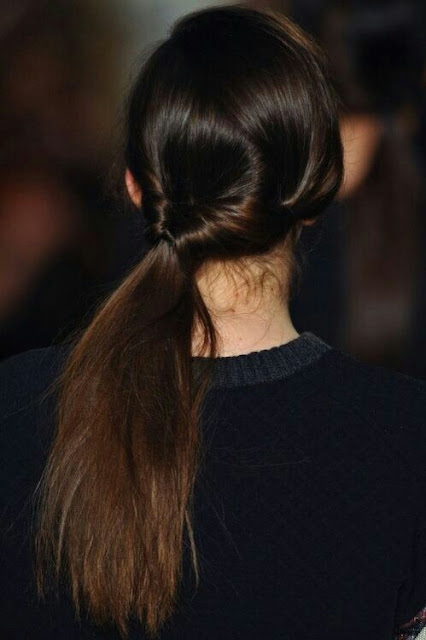 For an elegant look it is important to not go too low with your ponytail, give it a slight height but not too high! Add some drama to your ponytail with a thin braid . Take a small section of your hair from the side and braid it fully. secure with a bead or a small band. 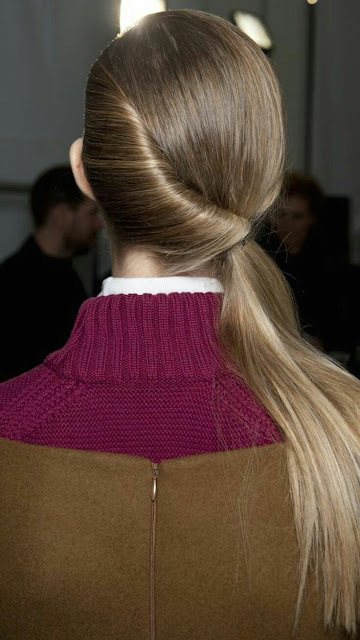 Now grab all your hair and the thin braid and tie it high for a chic ponytail. 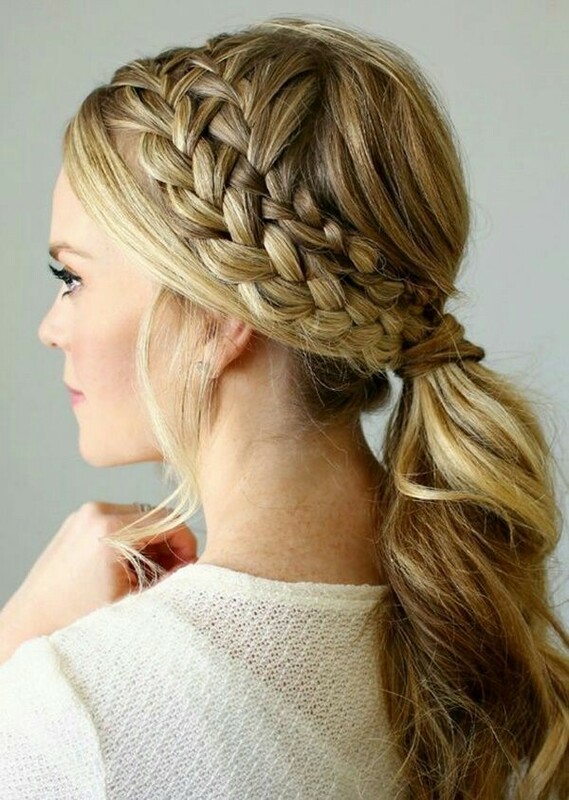 A large loose dutch braid will add an interesting drama to your high ponytail hairstyles. Make sure you tease your hair in front a bit for some volume in your mohwak. 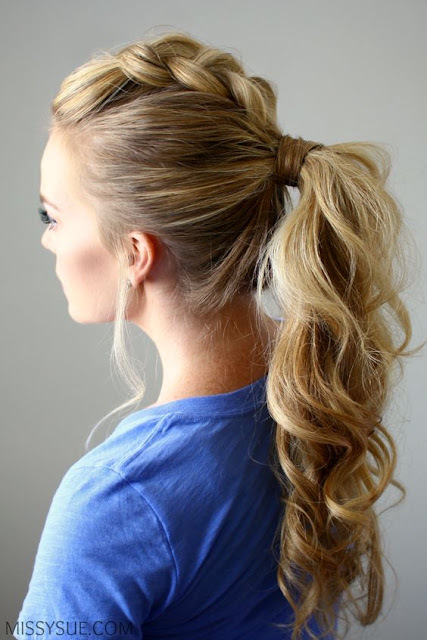 For a fresh ponytail hairstyle go for a side swept ponytail . Twist your hair on the front and pin it, now bring all your hair to the other side and secure it with a band for side pony. Baby's breathe are super popular in wedding hairstyles these days and you can add them even to your ponytail hairstyles. 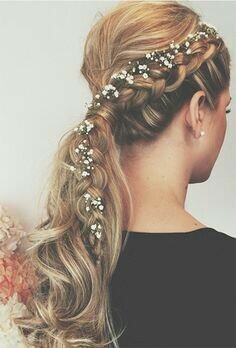 Infact for a more desi feel I suggest you try this same hairstyle with mogra flower strands. Just pin a jasmine flower strand along your side braid for a different fresh flower hair look. If you like fishtail braids then try this fistail braid ponytail which is sleek and packs a punch. 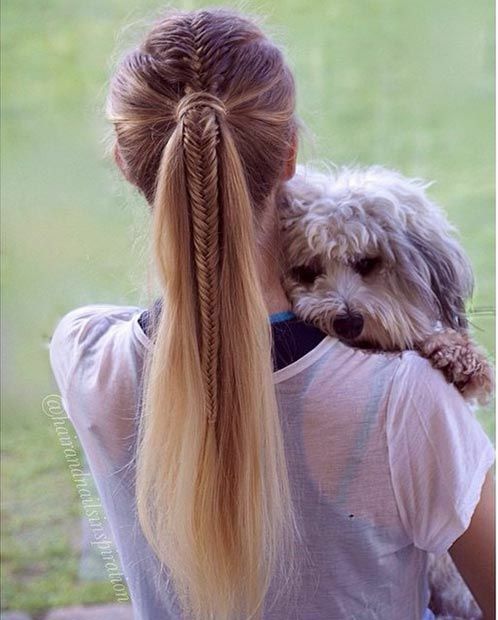 Start by braiding a thin long fishtail from the front and then pulling all hair together in a sleek ponytail. Elevate your simple ponytail hairstyle by covering the band with a tiny braid. 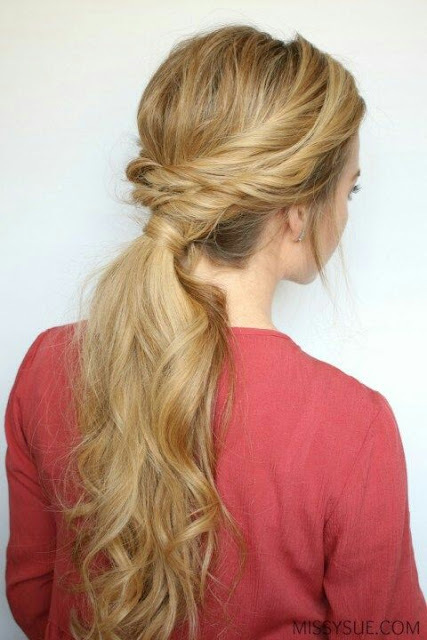 This is very simple hairstyle, before making a ponytail leave a small section of hair free. 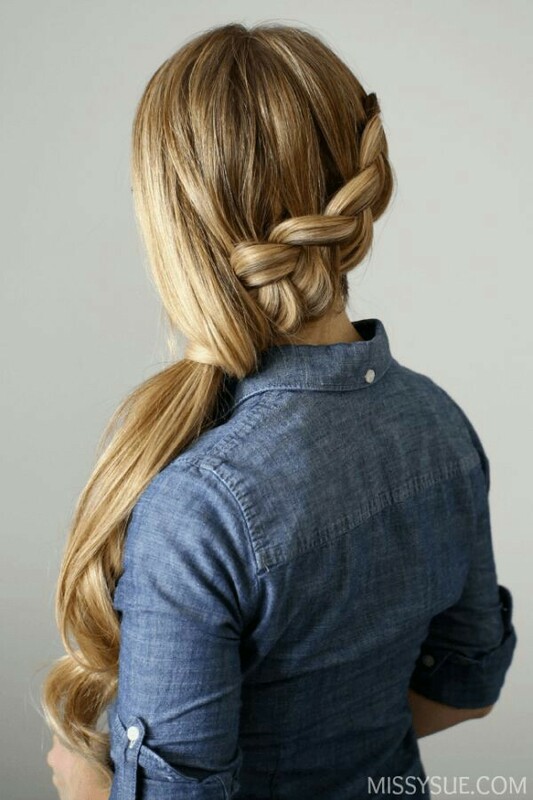 Braid this section of hair into a french braid and wrap this braid around your elastic band twice or thrice and then secure with a hidden bobby pin . Headband hairstyles look great but they are a little complicated but rope twists are pretty so you can definitely give this hairstyle a try this summer. Take a section of your hair from behind the ear and divide it to make a rope twist. Take this rope twist and pin over your head like a head band. This works best with long hair but if you have medium length hair you can still try it by rope twisting your hair from both sides of your head. 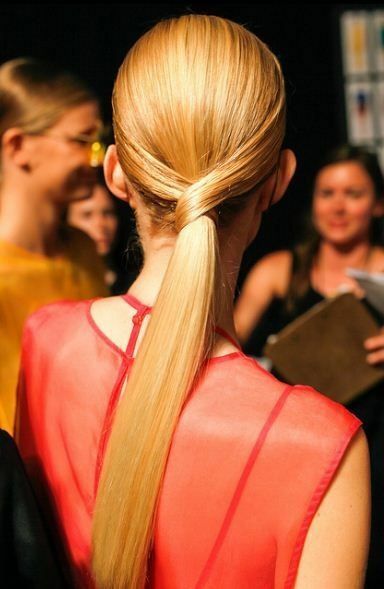 For a sleek ponytail hairstyle use styling wax all over your hair to tame the fly aways . This wax will also add a nice sheen to your hair. You can also use a hair serum for shine. Use bobby pins near the band to add height to your ponytail. 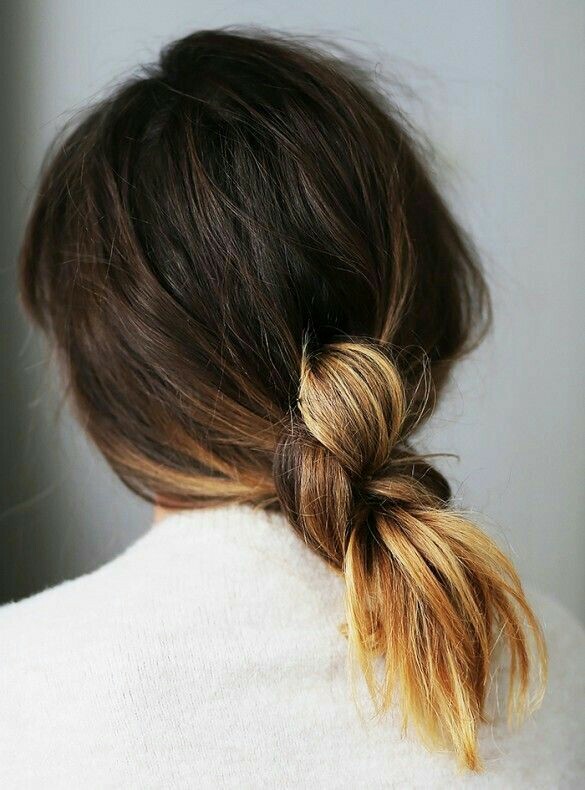 For a textured messy ponytail hairstyles use some dry shampoo. Ponytail hairstyles are very versatile and can work for all occasions with a little styling tweaks. Go sleek for office, go high for gym or add some fancy acesories for a special occasion or party.